According to Vatican Radio, the Pontiff highlighted this during his daily morning Mass today, as he drew inspiration from today’s Gospel according to St Luke. 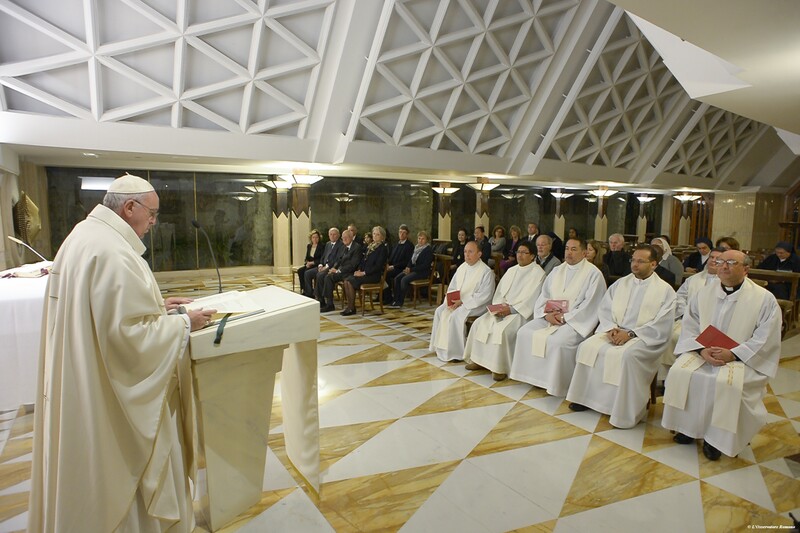 On the day of our Baptism, the Holy Father reminded those present, each of us receives from God the light of faith. While recalling that Baptism was called ‘Illumination’ in the first centuries of Christianity, the Jesuit Pope pointed out that in some Eastern Churches today, the term is still used. But just as Jesus warned the crowds not to conceal the light, so the Pope said if we hide that light we become lukewarm Christians. Francis discussed the many ways in which we risk putting out that light, starting with delaying the help that we’re called to give to our neighbors in need. Pope Francis went on to warn about those who plot evil against their neighbours instead of responding to the trust placed in them.